$ sudo parted /dev/sda GNU Parted 3.2 Using /dev/sda Welcome to GNU Parted! Type 'help' to view a list of commands. (parted) mktable msdos Warning: The existing disk label on /dev/sda will be destroyed and all data on this disk will be lost. Do you want to continue? Yes/No? 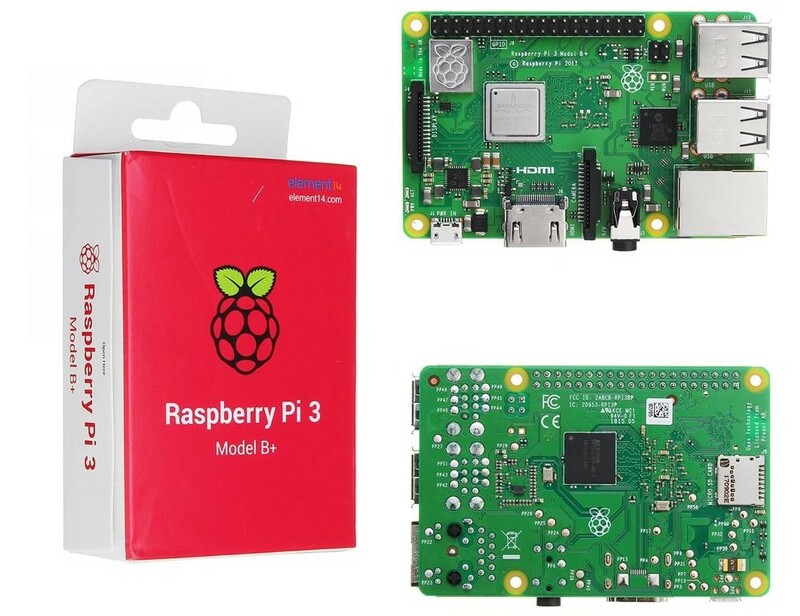 Yes (parted) mkpart primary fat32 0% 100M (parted) mkpart primary ext4 100M 100% (parted) print Model: OASDX-12 0G (scsi) Disk /dev/sda: 120GB Sector size (logical/physical): 512B/512B Partition Table: msdos Disk Flags: Number Start End Size Type File system Flags 1 1049kB 99.6MB 98.6MB primary fat32 lba 2 99.6MB 120GB 120GB primary ext4 lba (parted) quit Information: You may need to update /etc/fstab. $ dmesg ・・・省略 [ 3.661109] i2c /dev entries driver [ 4.145557] EXT4-fs (mmcblk0p7): re-mounted. 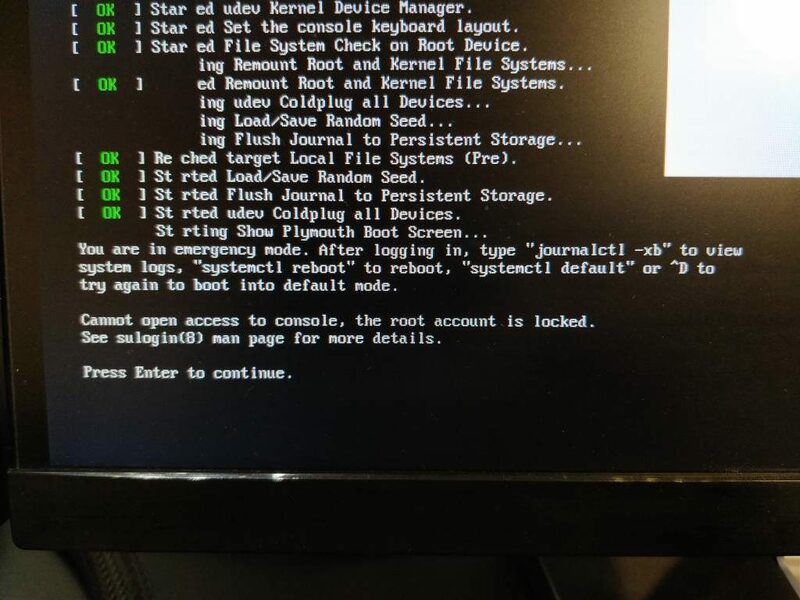 Opts: (null) [ 4.294478] systemd-journald: Received request to flush runtime journal from PID 1 [ 4.874055] scsi 0:0:0:0: Direct-Access OASDX-12 0G R042 PQ: 0 ANSI: 6 [ 4.875656] sd 0:0:0:0: [sda] 234441644 512-byte logical blocks: (120 GB/112 GiB) [ 4.876096] sd 0:0:0:0: [sda] Write Protect is off [ 4.876109] sd 0:0:0:0: [sda] Mode Sense: 2f 00 00 00 [ 4.876545] sd 0:0:0:0: [sda] Write cache: enabled, read cache: enabled, doesn't support DPO or FUA [ 4.879122] sda: [ 4.880979] sd 0:0:0:0: [sda] Attached SCSI disk [ 5.187111] sd 0:0:0:0: Attached scsi generic sg0 type 0 [ 5.298493] snd_bcm2835: module is from the staging directory, the quality is unknown, you have been warned. [ 5.298493] snd_bcm2835: module is from the staging directory, the quality is unknown, you have been warned. Created a new partition 1 of type 'Linux' and of size 111.8 GiB.